We're proud to announce our latest project: 3 Siblings. Our independently produced documentary short is currently making the rounds on the international film festival circuit. Three siblings with different gender identities and sexual orientations bring us into their world during São Paulo's LGBT Pride Month. Every year, São Paulo hosts one of the world's largest Pride Parades to celebrate Brazil's LGBT community. 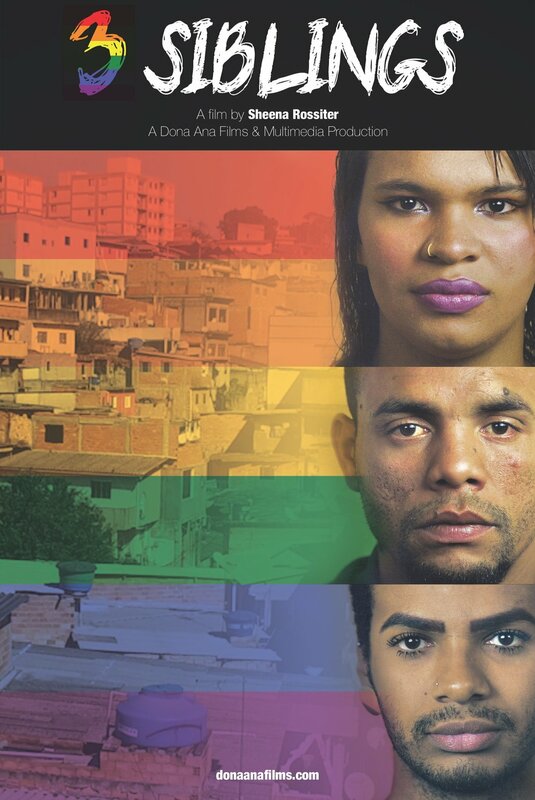 But homophobia and transphobia are still rampant in South America's largest nation. Ludmylla, Victor and Ângelo, who were born and raised in one of São Paulo's favelas, show us how they face these societal challenges everyday, and how it impacts their relationships with each other. 3 Siblings is represented by the Canadian Filmmakers Distribution Centre (CFMDC). For sales and rental inquiries please contact the CFMDC directly here.